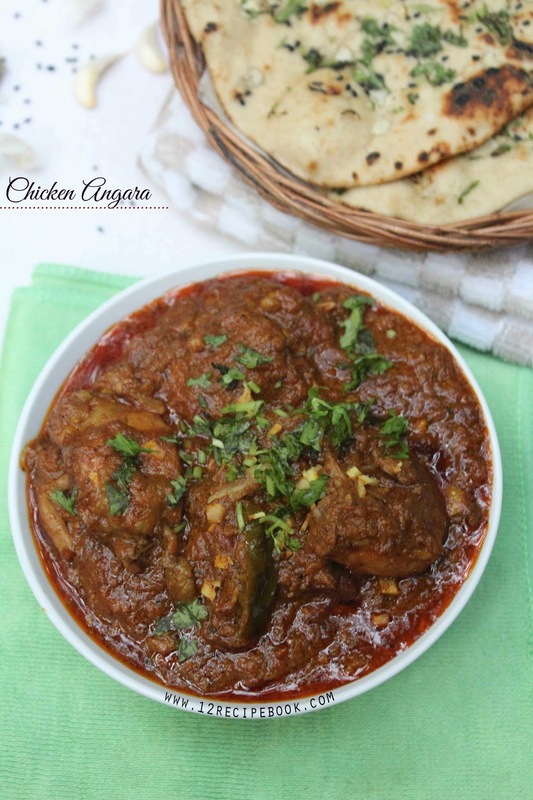 Chicken Angara is a spicy and delicious South Indian Curry. 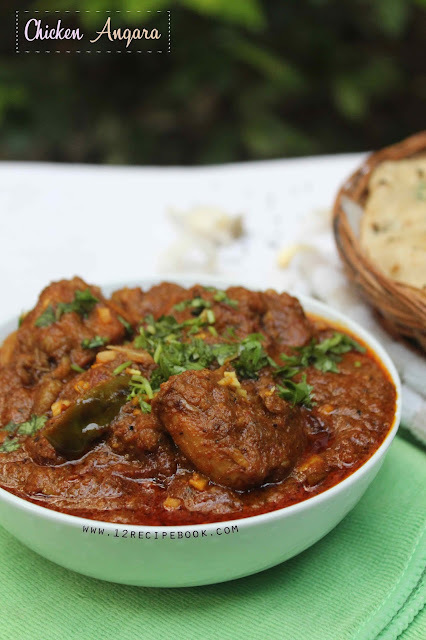 The smoky flavored chicken curry is very suitable for serving on special occasions. 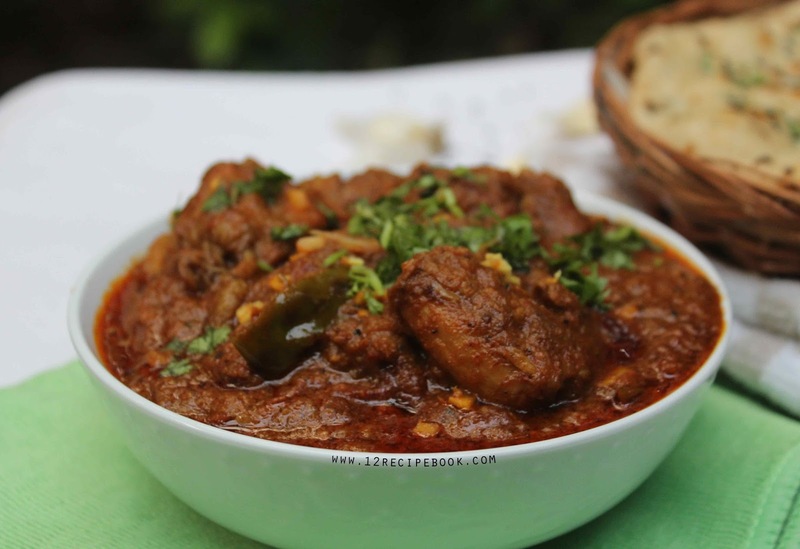 It can be paired well with any paratha or flat Indians breads. Marinate cleaned chicken pieces with turmeric powder, chilly powder, cumin powder powder, garam masala and salt. Keep aside. Heat oil in a pan; saute thinly chopped onions until nice golden in color. Add ginger garlic and green chilly; saute for a minute. Add chopped tomato and saute until mashed well or disappeared. Cover the lid of the pan and cook for about 10 minutes. (stir often). 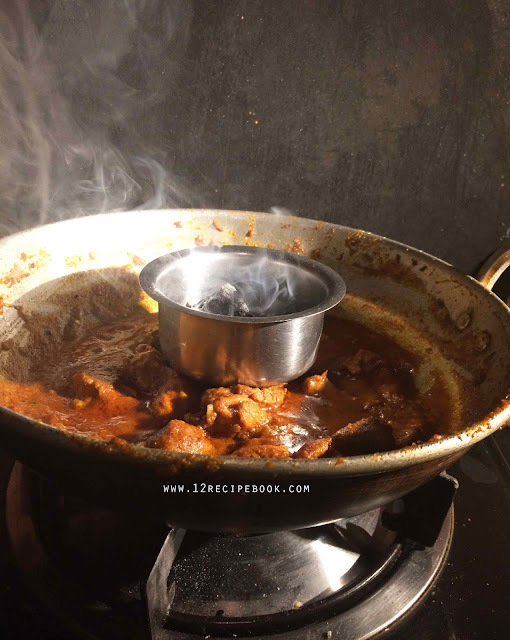 Cook the curry for another 10-15 minutes or until the chicken pieces get cooked well and oil float on top of the curry. Place hot charcoal on a small pan. Place it over the curry. Add butter and cloves in the charcoal; Then it started smoking. Cover the lid of the curry pan for two minutes. After that remove the charcoal pan and serve the curry by garnishing with coriander leaves.